Pickup trucks are shockingly expensive, the Tesla Model 3 is selling well, oil prices are creeping up and more. This is The Morning Shift for Thursday, Oct. 4, 2018. You’re not imagining it. Pickup trucks are steadily getting larger—and more expensive. Because gas is cheap, pickups are in demand, which boosts pickup prices. The whole thing is getting a little out of control. The prices people are paying for pickups have steadily risen over the past decade pushing the trucks further and further out of reach for average consumers. In fact, some full-size pickups can cost more than $100,000. 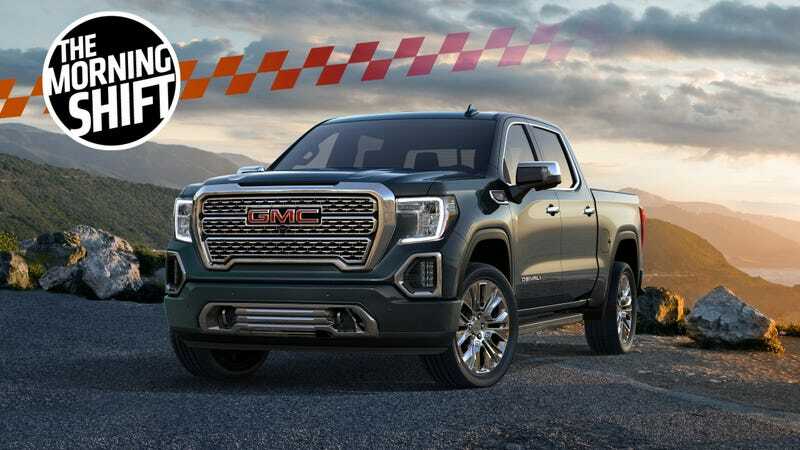 Edmunds’ data shows, through September, the average transaction price for a full-size pickup is $48,377, a 48-percent boost from 10 years ago and a 19-percent hike from 2013 for the same period. For that price, a person could buy a Mercedes-Benz or BMW luxury sedan. Part of that rise in price comes from the fact that more and more people are using their trucks as family haulers, rather than strict work vehicles. When you start doing that, you’ll also start looking for more luxury features. And once you add all of those options up, the price of a truck can easily soar to $100,000. Only 15 percent of full-size pickup buyers use the trucks for business, Edwards said. Of those who buy heavy-duty pickups, only about a quarter of them use them for work, he said. Yet, when asked whether pickup owners use their pickups to carry their kids daily, 12 percent said yes, compared with just 7 percent in 2009, said Alexander Edwards, president of consultancy Strategic Vision in San Diego. Another result of this cheap gas/pickup craze is a rise in popularity of 84-month auto loans. That’s a seven-year loan on a rapidly depreciating asset. That’s not good. Through August, that metric is $100,305 a year compared with the median household income of ta general new vehicle buyer at $95,355, he said. But in 2009, the median household income for general new car buyers was $83,516 versus median household income of pickup buyers, which was $76,660, he said. The U.S. Census Bureau puts the median household income in the United States at about $59,000. Interesting to see the two swap spaces. American luxury buyers sure do love their trucks. Anyway, I’ll be over here waiting for gas prices to spike. Sedans and their overall sales are dying off left and right, but Tesla’s Model 3 sedan seems to be the one bright spot during these dark, SUV-laden times. For the three months that ended in September, Tesla delivered more Model 3s than all but four of the top sedans sold in the U.S., regardless of size or price. It’s an imperfect ranking because Tesla didn’t break out sales by country, and the Model 3 tally included some deliveries to customers in Canada. And the climb comes at a time when Americans prefer crossovers, SUVs and trucks by an ever-wider margin. Nonetheless, the third-quarter showing was unprecedented for an electric car and a remarkable turnabout for Tesla, which struggled for much of the last year to mass-produce the sedan. The outlet also noted that Mercedes-Benz C-Class sales have fallen and that BMW was only able to scrape an increase in sales last month because of the X3, a crossover. Yet, it’s a little incongruous to compare Model 3 sales with all other sedan sales. The Model 3 is a brand-new vehicle that relied heavily on a reservation system and delivered its cars all at once starting only in January. I’m not denying that its sales numbers are great now, but I’m also wondering how sustainable they are. Will demand for it continue at this rate? And what happens when all the other automakers start rolling out their electrified offerings? While we’re on the topic of electric cars, automakers across the board have been investing heavily in electric technology. That, along with oil’s prices creeping up, seems to be the perfect push to cement our electrified future. “The higher the price of oil the more tailwind we’re going to have behind electric cars,” said Carlos Ghosn, chairman Renault SA and Nissan Motor Co. said at the Paris Motor Show on Wednesday. Logical! Consumers tend to choose the path that saves them the most amount of money. Generally. As more and more drivers make the switch away from internal combustion engines, companies like Exxon and Royal Dutch Shell will probably face a permanent drop in demand. All that needs to happen now is a huge push to expand the charging infrastructure, which is already happening on many fronts in many places. Yesterday, we reported that Honda and GM had teamed up for a multi-billion dollar autonomous driving partnership. These kinds of joint ventures are springing up across the industry and the latest one is between Toyota and SoftBank. Monet Technologies Corp. will initially introduce ride-hailing services for Japanese public agencies and private companies, followed by a rollout of autonomous vehicles in 2020, the two companies said at a joint briefing in Tokyo on Thursday. After Japan, Monet will expand globally, they said. SoftBank will own just over 50 percent of the venture, while Toyota will control the rest. It will be initially capitalized at 2 billion yen ($17.5 million), and eventually reach 10 billion yen as needed, they said. SoftBank and Toyota said they see the venture providing a variety of services, such as meal-delivery vehicles in which food is prepared on the move, hospital shuttles where on-board medical examinations can be performed, and mobile offices. The autonomous future is coming. Are you ready for it? Part of the U.S. Transportation Department’s plan to expand its autonomous car testing initiative will include disavowing 10 places from Florida to California that the Obama Administration had decided were federally recognized “automated vehicle proving grounds,” according to Bloomberg, which spoke to two anonymous sources. ... the department is readying a new autonomous car testing initiative that officials envision will eventually lead to testing and demonstration pilots nationwide by companies, cities, states and others, the people said. The moves are expected to be disclosed Thursday, when Transportation Secretary Elaine Chao and other officials announce the third iteration of the department’s automated vehicle policy, the people said. Details of the new program are being developed, but it’s intended to echo the department’s drone demonstration program announced with much fanfare last May, one of the people said. That program spurred 10 projects pairing companies with local, state and tribal governments for new drone uses. This appears to be good news, as we had some concerns last year (God, was it only last year?) about Transportation Secretary Elaine Chao’s grasp on autonomous cars. Neutral: Are You a Pickup Buyer? Did you buy a luxury pickup recently? Why did you choose that over a comparable luxury SUV? Is This Car Still A Porsche?